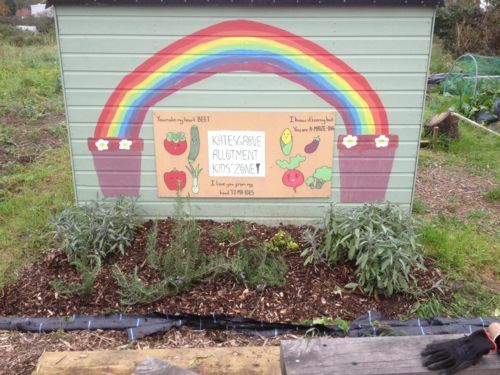 Waterloo Meadows Allotments, Elgar Road South, RG2 0BW. Open sessions: 2nd & 4th Saturdays 10.00 a.m. to 1.00 p.m. 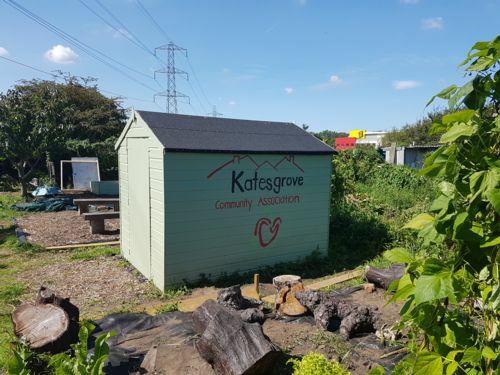 Established in partnership with Katesgrove Community Association this allotment is on the Reading Borough Council Allotment site at Waterloo Meadows. There is a regular bi-weekly tutor led drop-in Saturday session 10am to 1.00 p.m. 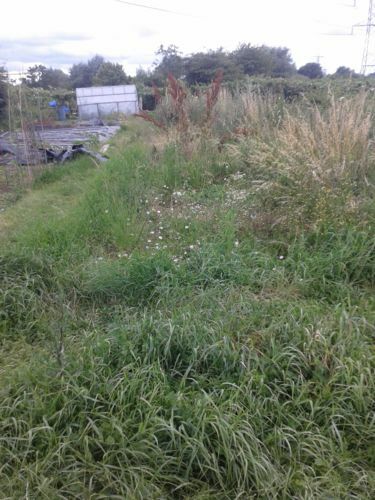 The early days of the allotment, wild grass, plastic sheet and a greenhouse for cultivating seeds. 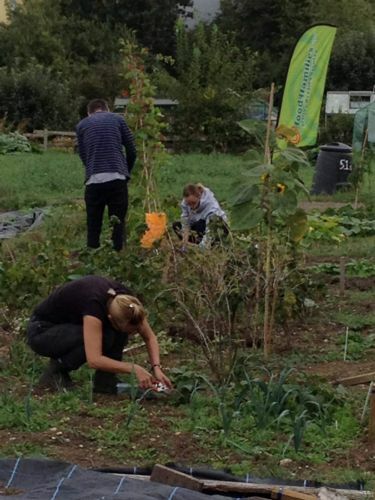 Locals getting involved around Springtime, working close to the food4families flag. 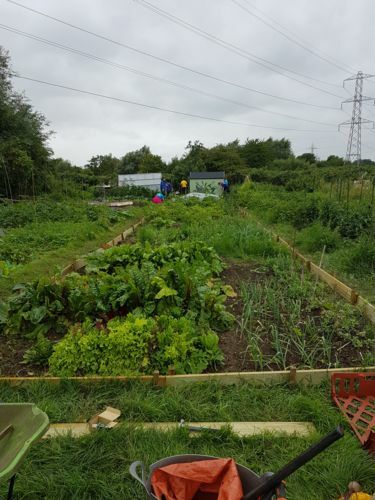 Vegetables are growing in abundance, including onions, beetroot, and numerous others.